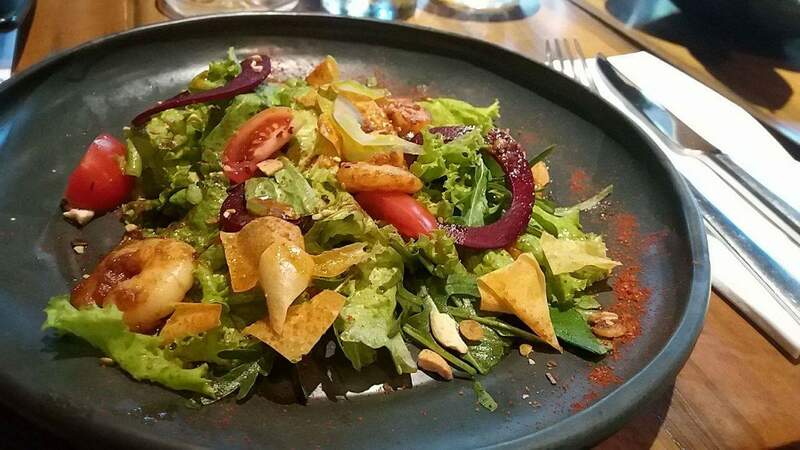 It is December and in the next few days, endless meet ups and parties to celebrate the most wonderful time of year will surely make us busy in the kitchen. Hence, I take the time to decorate the house and organize my kitchen, where I will be whipping up dishes and treats for family and friends. I usually weigh in on design as the best way to work around my home. Design and convenience is key in my kitchen. I have well-curated items in my pantry and cupboard that follow a color scheme or theme depending on the season. I use colorful plasticware to organize my cupboard. Doing creative space-saving and attractive kitchen solutions helps me do last-minute food preparations and tuck away with ease after meals. I prefer that my kitchen sits upfront and not hidden away. More than just good looks, I choose items and products that integrate well with the design. I enjoy seeing my guests' eyes light up when see the different aesthetic dining themes I come up with each time. And I feel elated when given compliments for the beautifully presented dinner and for the extra effort that I do. 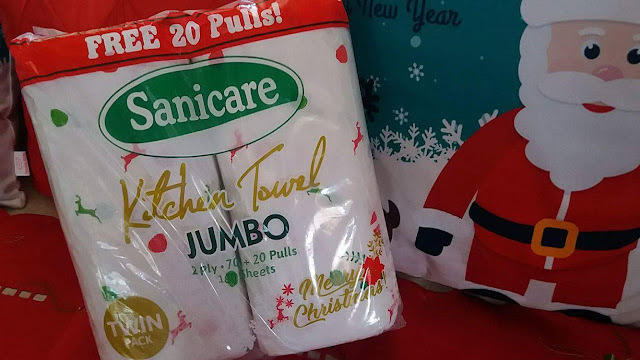 Now, I always make sure to keep tissues, kitchen towels and table napkins handy for a hassle-free and enjoyable party hosting this Christmas season. And Sanicare answers my all my needs. I love the festive design of its Christmas Kitchen Towels! 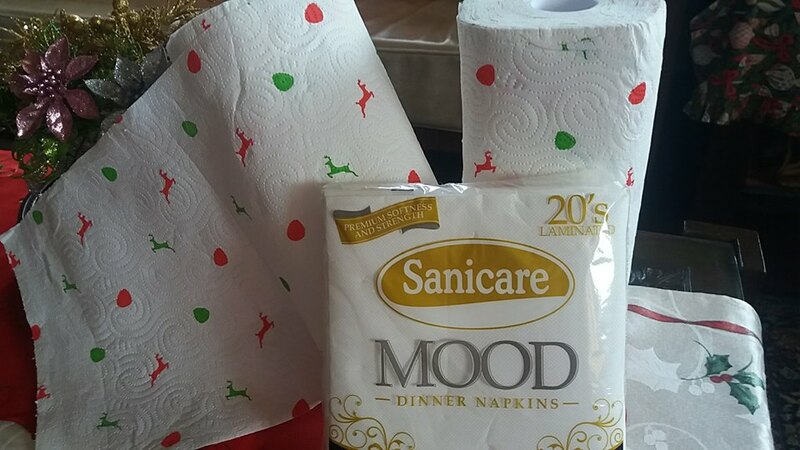 The red and apple green decorative reindeer and berry prints on the 2-ply sheets do play in my need for designs! Soft and absorbent, these towels are great for wiping surfaces clean. 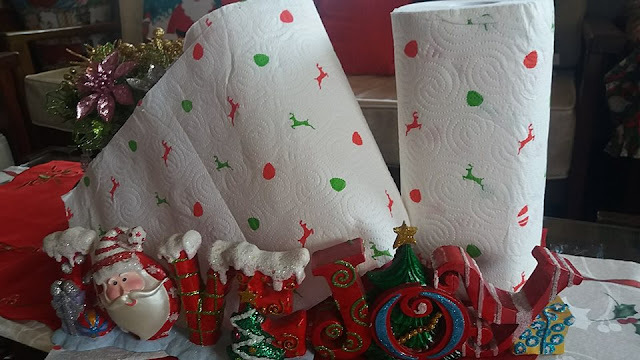 I'll definitely keep these sturdy disposable holiday-themed towels on hand. 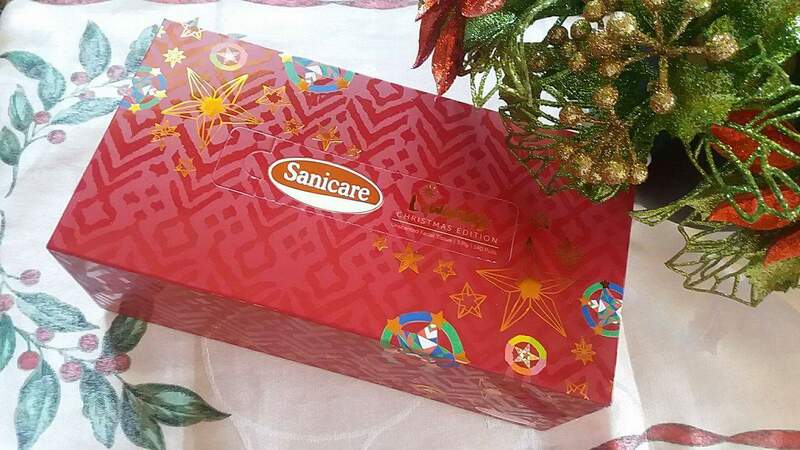 Also, Sanicare recently launched its Facial Tissue Christmas Boxes designed by Ms. Alex M. Eduque of Molding Optimism Values through Education (MovEd) -- a foundation commited to providing holistic early childhood care and education. Following the theme "Liwanag", Eduque's design highlights most iconic symbol of Filipino Christmas spirit---the Filipino "Parol". She integrates the stars in her design to remind us that we all share the same sky. The traditional star-shaped Christmas lantern and stars on her design evoke a notion of promise and unification among Filipinos---that despite the differences and circumstances we are in, a star shines brightly within each of us. It is symbolic as it transcends social classes and lights up all Filipino homes. 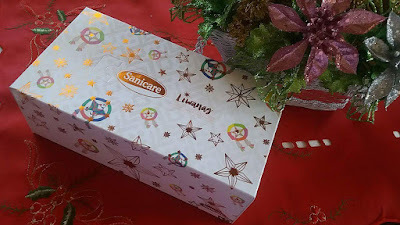 These decorative Liwanag Christmas edition facial tissues boxes come in white, green, blue and red colors that add a festive touch. These boxes also have the “Ikat” design, a type of weave created by Manobo tribes from Mindanao. Moreover, Sanicare Mood Dinner Napkins gives us the option not to settle for flimsy paper napkins. Luxuriously soft and strong to wipe mess away, these durable 2-ply laminated napkins feels like cloth! Best of all, they are made from 100% Virgin Pulp using the latest lamination technology. Do get these amazing Liwanag Christmas Boxes from Sanicare and make your Christmas even brighter! 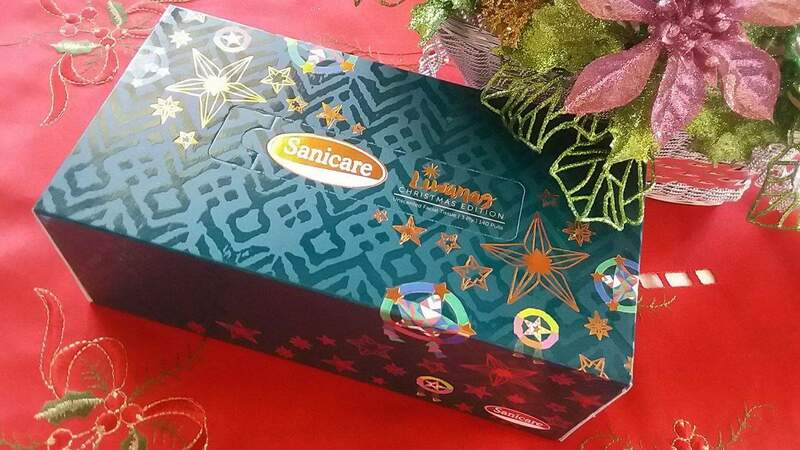 Each purchase of the Sanicare Christmas box earns you an entry to the Sanicare “Starry Bright Christmas Promo!”. 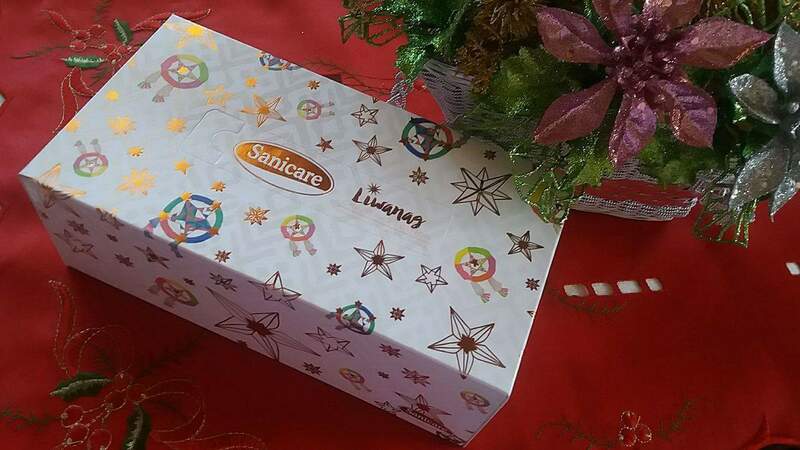 All you have to do is post a creative photo of your Sanicare Facial Tissue Liwanag Series Box with the caption, “My Christmas is extra bright this year because _____!”. Use the hashtags #SanicareLiwanagSeries, #Sanicare, and #SCPA and tag three of your friends. The winning entry gets four (4) all day passes to Dream Play and Lunch buffet for four (4) at The Café at the Hyatt City of Dreams Manila! 10 consolation prize winners will also be chosen to receive 2,000 Sodexo Gift Certificate from Sanicare. To know more about the promo, visit the Sanicare PH Facebook page. DTI Permit No. 18311 Series of 2017. Investing in these disposables is a practical way to do things this yuletide season. Let Sanicare guide you through a stress-free, mess-free celebration.